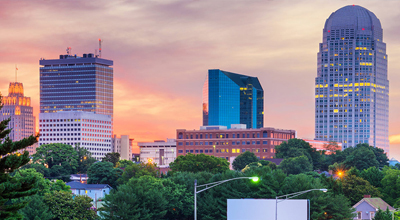 Winston-Salem is best known for being a city in North Carolina that shares a deep devotion to the fine arts. This city has a rich history and an intriguing upbringing that is bound to astound all who frequent it. The best place to go to learn more about the fantastic history of this city is the New Winston Museum, as it is bound to make your trip to this city even more exciting once you learn about the intriguing and complex history it offers. The New Winston Museum was established in 2008 by the Winston-Salem community, as it was realized that Winston-Salem was the only major city in North Carolina that did not have a community museum. The title of this museum was derived from the museum’s focus on the history of Winston-Salem in contrast to Old Salem, the sister city to Winston. After years of planning, the museum was finally constructed, and stands near the Benton Convention Center on Marshall Street Southwest. The New Winston Museum focuses on the history of the city, while also supplying focus to how historical events can shape a person’s individual character. This museum invites adults and children alike to adhere to the wild histories of the city and of Forsyth County, while also promoting the stories of Winston-Salem so that they might be preserved for as long as possible. Many of the exhibits within the Museum are digital, taking a new and innovative approach to historical exhibitions. This museum even offers its guests educational programs to partake in to learn more about the area. These programs cover a wide range of topics as well, such as Salon Stories and Exhibition Programming. What makes this museum different from the rest is its lack of artifacts. There are several small collections within the facility, but given that the museum is so new, the idea of the program is to focus on storytelling rather than idolizing artifacts. This creates a newer dynamic for the definition of a museum and is certain to make your experience here unique. More information regarding the New Winston Museum can be found here. While exploring the New Winston Museum, enjoy your stay at the Hawthorne Inn & Conference Center. Located conveniently within .6 miles of the hotel, the Hawthorne Inn & Conference Center offers the best rates when you book directly at: www.hawthorneinn.com.